July | 2012 | justonemorebiteplease! DInner last night was amazing. 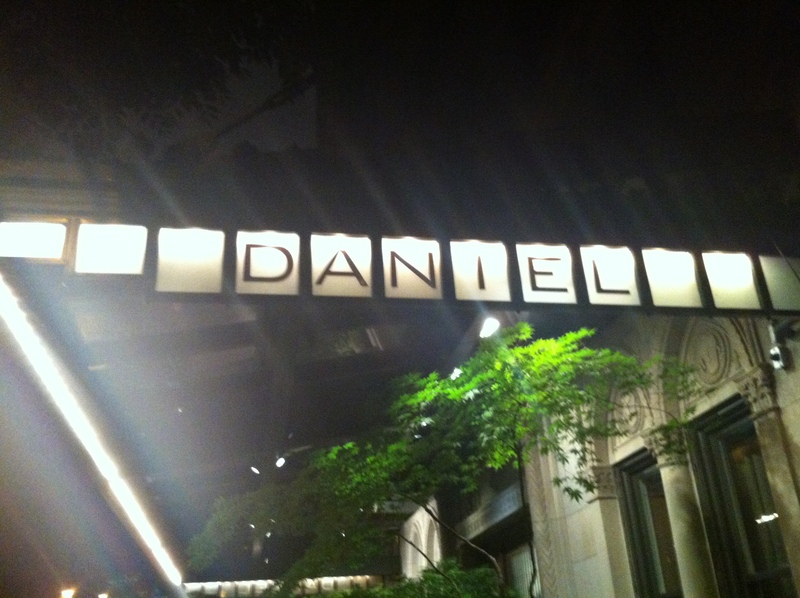 Chelsea and I had dinner at Daniel, the 3 Michelin starred restaurant on 65th and Park, for those of you not familiar. It was reaaaaaaaalll fancy, probably the nicest restaurant I’ve been to. Our combined ages would have made us the youngest table there (we hesitated to say we were the youngest there, as we noticed quite a few May-December relationships… and none of the cougar sort. So disappointing. But maybe you wouldn’t woo your 25 year old boy toy with dinner at Daniel, I guess maybe front row tickets to the Knicks would work better. Or do you have to spend money on boy toys? These are things I should find out before becoming a cougar) but we never felt we got any less attention from the wait staff. You’ll notice I don’t have any photos – we felt taking photos weren’t really in keeping with the decorum of the restaurant. Haha. We arrived a bit early (as if I’d be late for a meal, much less a meal of this calibre) and had champagne cocktails while they got our tables ready. Ugh, how did they make that Pimms and champagne taste so good? How did they get the olive tapenade baked into those teeny bits of toothpick bread sticks? Why was everything so good and we hadn’t even sat down at our table? We were seated, and pretended to review the menu, as we’d pre-planned what we’d be getting for dinner, thanks to the inter-webs. Chelsea ordered the Main Lobster Salad with Poached Peaches to start and the Roasted Veal Tenderloin with Artichoke Barigoule for her main. I ordered the Trio of Arctic Char: Hot smoked with Yukon Gold Potato, Confit with Lemon Zest and Lovage Pistou, Tartare with Seasame Oil and Wasabi-Spinich Coulis. My main was the Duo of Beef: Braised Black Angus Short Ribs with Romanesco Puree and a Seared Wagyu Tenderloin. 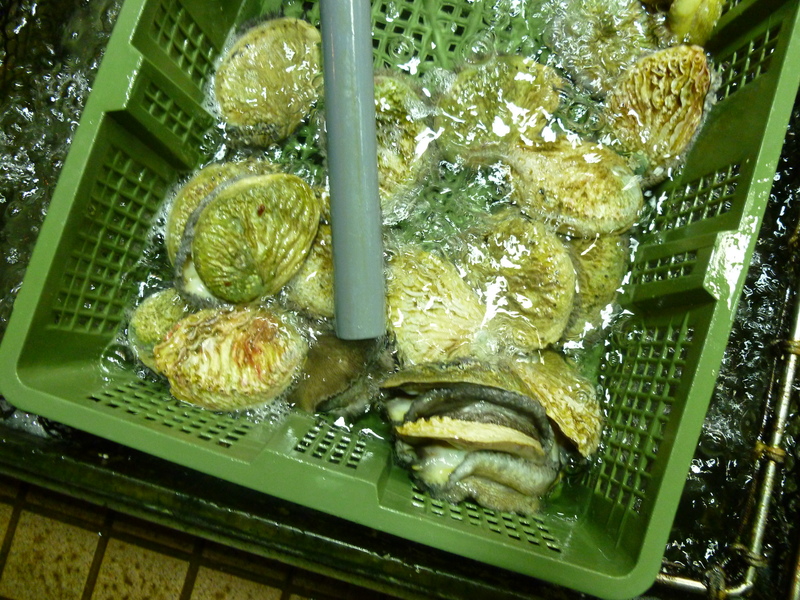 Our amuse bouches were melon themed – they were delicious, but I didn’t really follow the details, except that mine were lacking all shell fish. Thankful that they had that option, though I feel I missed out. The bread – oh the bread. I’m not really a bread-lover, but every time they came around with that bread tray, I found myself salivating for another roll. There were about four choices – Chelsea and I only alternated between two of them – garlic and parmesan, and rosemary and thyme. It makes me want to learn how to be a baker. Or marry one. Our starters were so nice – Chelsea liked the combination of the lobster and peaches, and I thought the arctic char was a perfect start, my favorite being the smoked piece. Mmmmm. We couldn’t wait for our mains. 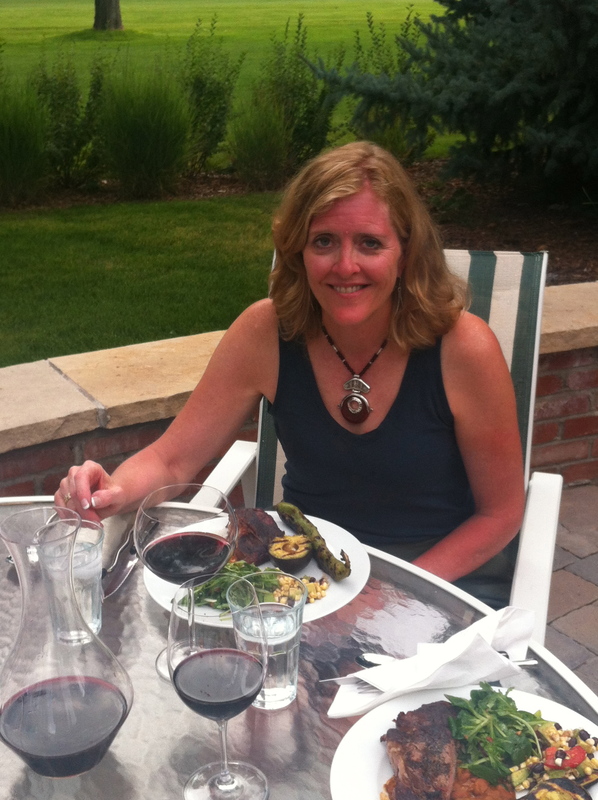 I loved the tenderloin – it was perfectly medium-rare, cut like butter, melted in my mouth. Wow. It couldn’t get much better. But then I took a bit of my short ribs. Tears started to well in my eyes. It was absolutely beautiful. I have never eaten any plate of food so slowly, and I’m embarrassed to say I shushed Chelsea so I could enjoy my last bite. I so rude, but I think she understood. For dessert Chelsea ordered the Milk Chocolate Dacquoise with Salted Caramel Ice Cream. That ice cream was divine. I ordered the Warm Guanaja Chocolate Coulant – that’s fancy for chocolate lava cake. 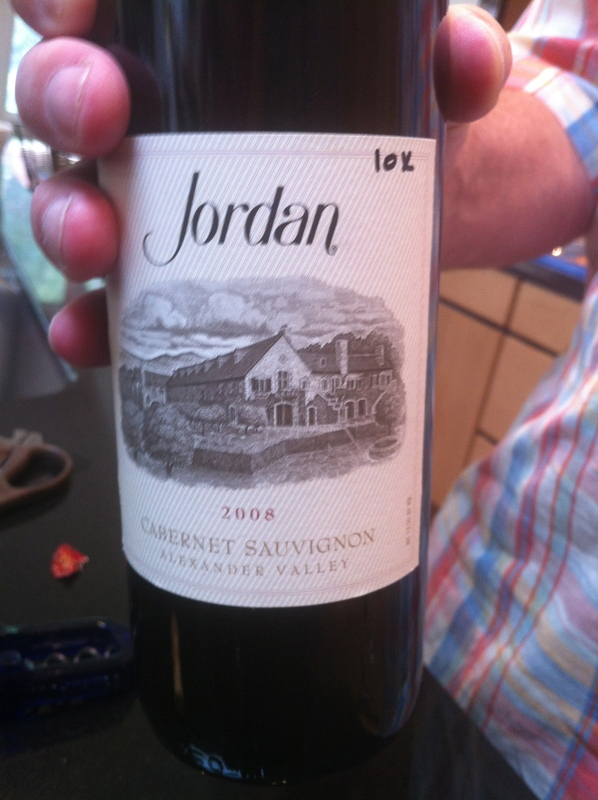 It was delicious, not too rich, and went down so well with a sip of Port. Chelsea and I didn’t lie and say it was one of our birthdays (we saw about four birthdays, some of which may have been lies), so we got no dessert with a candle in it, but the chef sent out a third dessert. Either they send every table an extra dessert, or our waiters liked us. 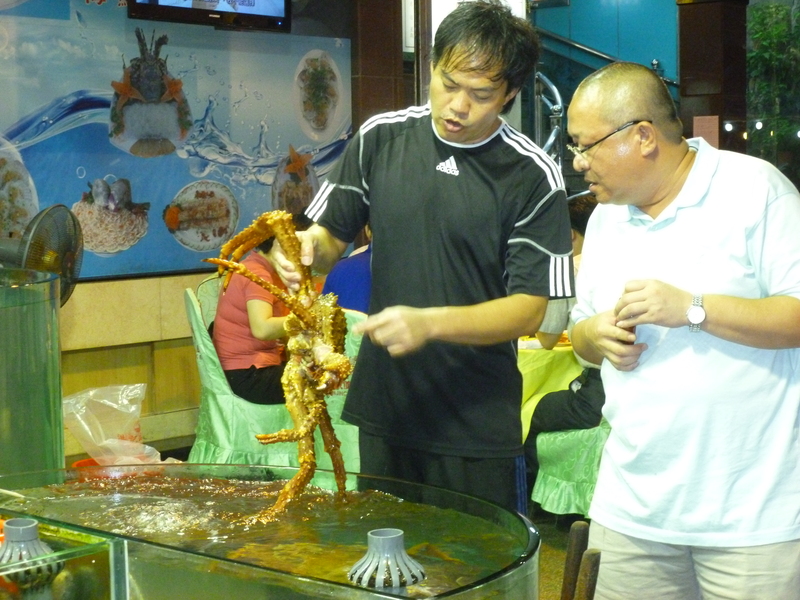 We had a lot of fun with them, I think much less stuffy than a lot of the other guests. And just so you know, the service was impeccable, the wait staff was beyond helpful and they all had French accents. Chelsea and I debated if they were all actually French or if some of the accents were fake. I decided to believe they were all French, much more fun. Anyways, the third dessert was the Raspberry Almond Sable, with Creme Fraiche Parfait, and Yuzu Sorbet. So lovely, and it was nice to get a fruit dessert as Chelsea and I had both ordered chocolate. So you’re thinking that must be it – but you would be wrong. Next came a tray of petit fours, which Chels and I quite fairly divy-ed each one up, and then they brought us a basket of madelines. We ate the tray of petit fours, which were divine, and then they brought a tray of mini chocolates that we each could pick one to enjoy with our cappuccinos, and then when we thought our night was sadly at an end, they sent us another tray of petit fours. That tray was considerably more enjoyable, as we knew what they were already, and didn’t have to cautiously explore, only savor. At this point our night was truly over, we left with full bellies (might have been the three pieces of bread, but we would have been idiots to turn away those delicious rolls) and happy palates. Definitely in the list of top meals I’ve ever had – certainly the highest rated restaurant I’ve ever been. I’d be lying if I said I wasn’t disappointed it’s over – nothing to look forward to anymore! 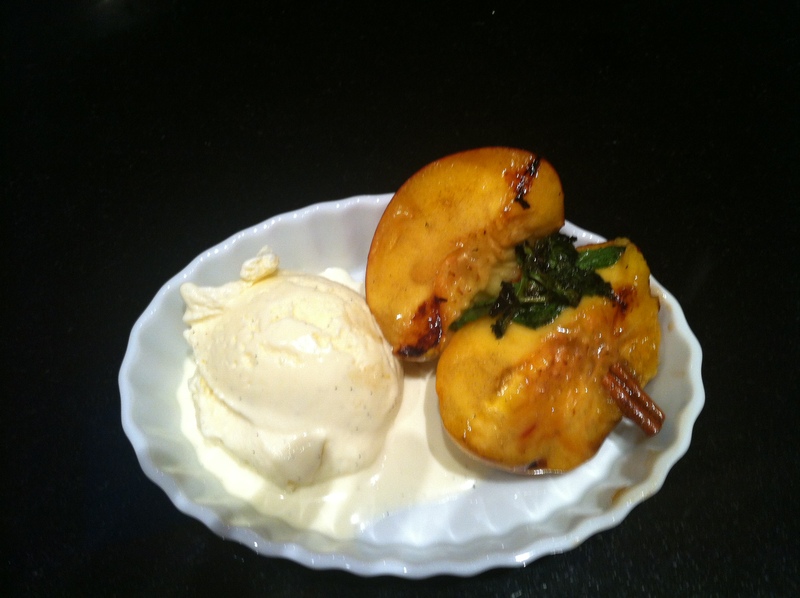 Dessert: Cinnamon-grilled peaches with HOMEMADE ICE CREAM. Dinner. was. amazing. It’s okay to be jealous. I’m jealous of old me who hadn’t yet eaten all this, and then got to. 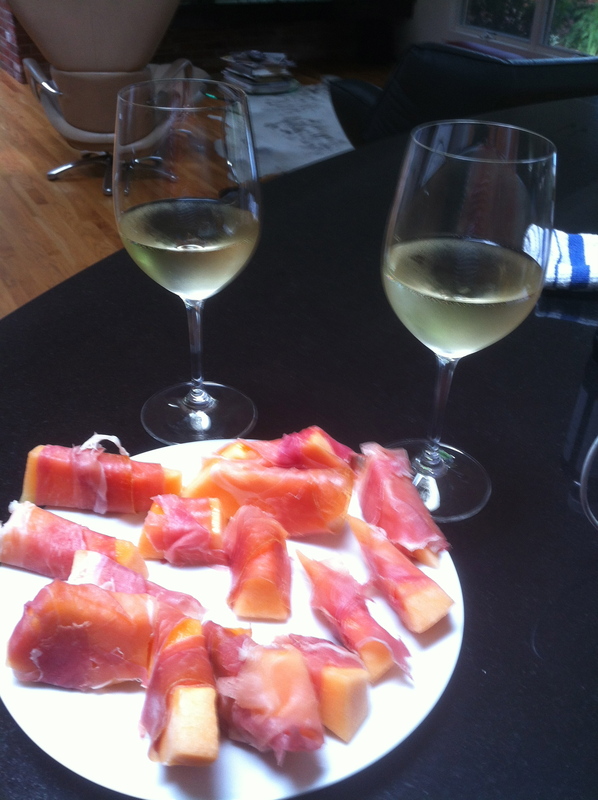 I made the prosciutto and cantaloupe. The trick is to not to eat too much prosciutto while you’re making them. 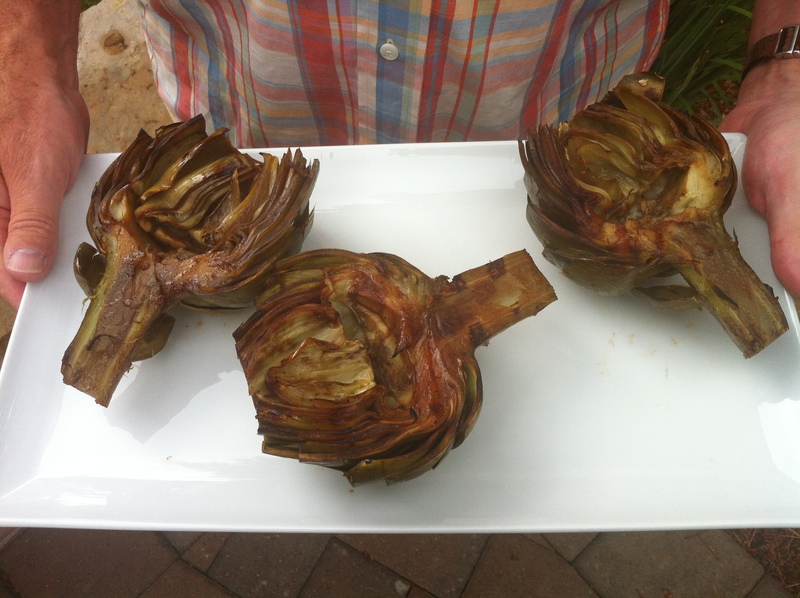 Grilled artichokes were marinated by Polly and grilled by Dad. Polly pressure cooks the artichokes, then sticks them in the olive oil, basalmic vinegar and soy sauce marinade before they are grilled for a few minutes. The marinade is so full of flavor you don’t really need any dipping sauce for the leaves, but we thought if you wanted mayonnaise, you should be able to have some. 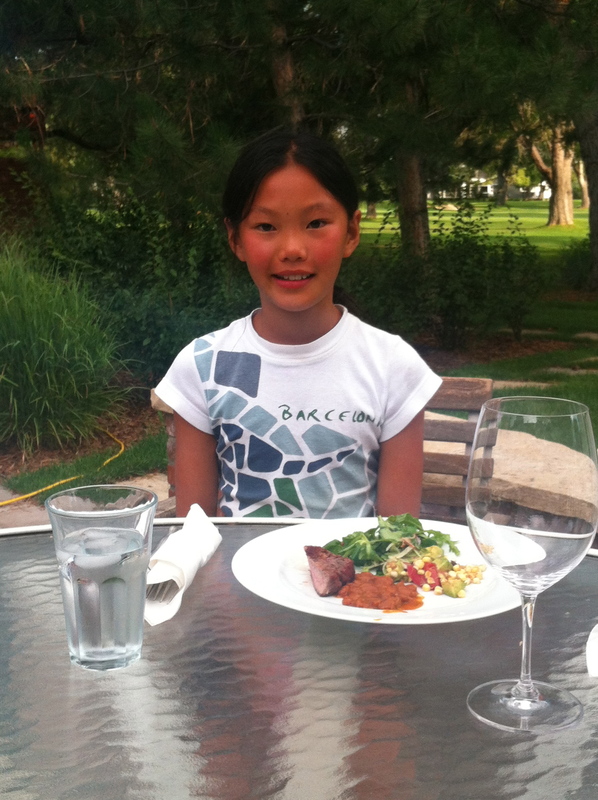 I helped with the Pea Shoot & Arugula salad (recipe from August 2012’s Food & Wine magazine, included at end of post). 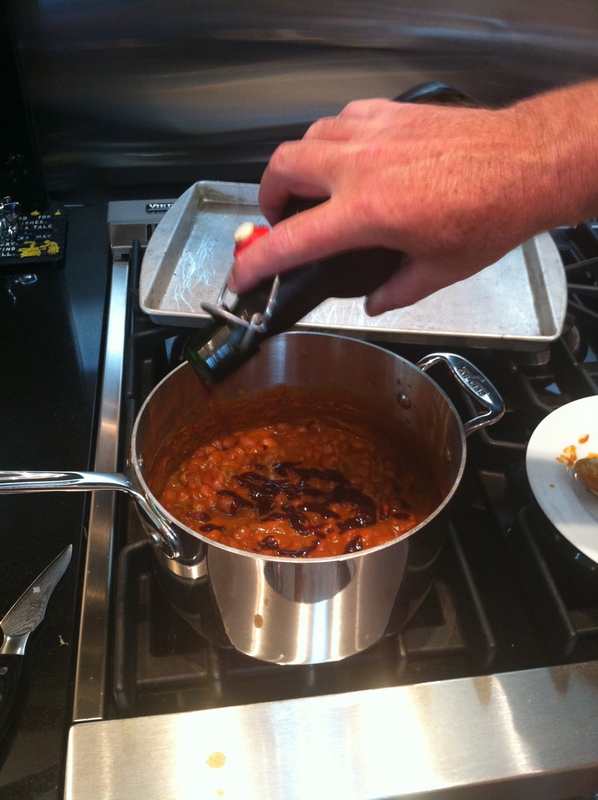 The dressing was quite easy to mix, and we used a nice honey, with orange blossom flavors. We couldn’t find pea shoots, so we used Mache instead. 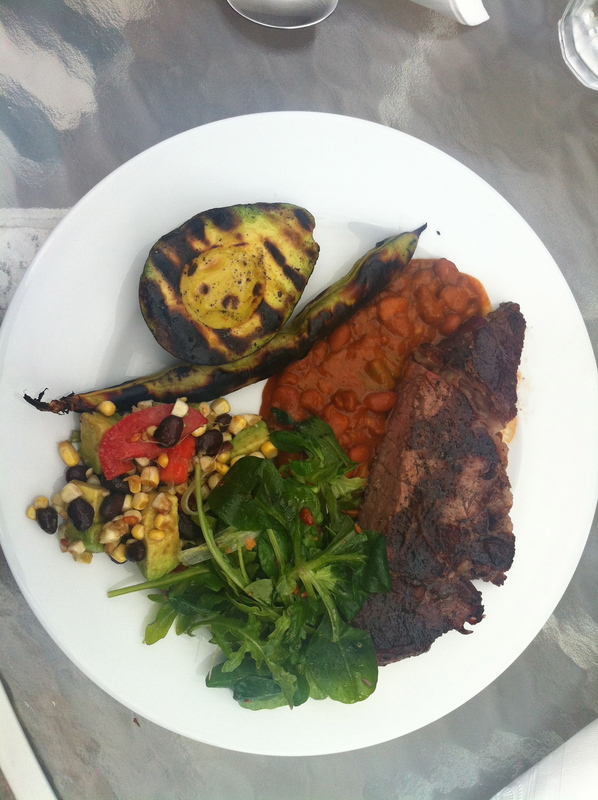 I loved the flavor of the mache with the peppery arugula. I’d never toasted hazelnuts and peeled them – it’s ridiculously easy. Once you take them out of oven and let them cool a bit, the skins slide right off in the towel. I’m not sure how’d you’d make this salad if you didn’t have a mandoline – even the recipe tells you to use one for the radishes and fennel. Which, by the way, I do not like. We still put it in, but I picked it out of my serving, and gave it to Matt. Yuck. Polly’s corn salad was so fresh and summery. 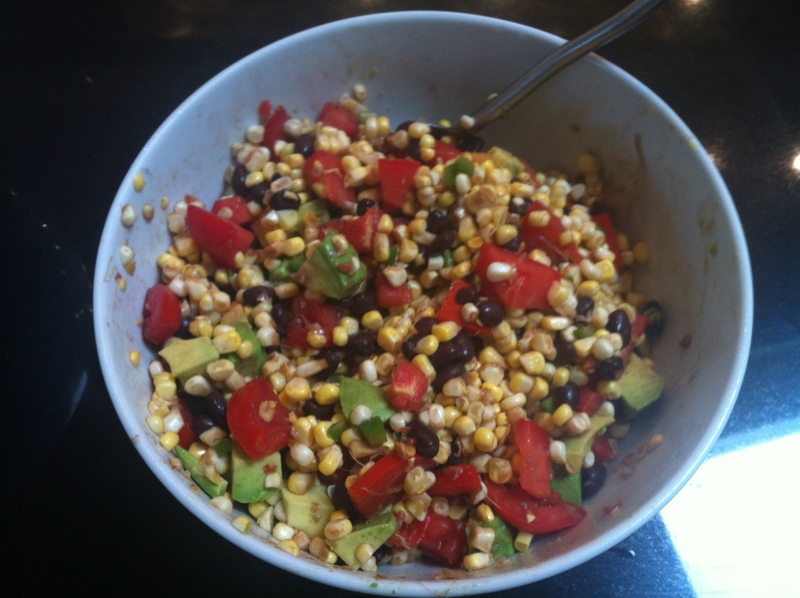 She cut fresh corn off the cob, let it sit with diced jalepenos, added black beans, diced tomato and avocado, and tossed it in basalmic vinegar and olive oil, seasoned with salt and pepper. So simple, but full of flavor, and a great way to use all the sweet corn from summer. 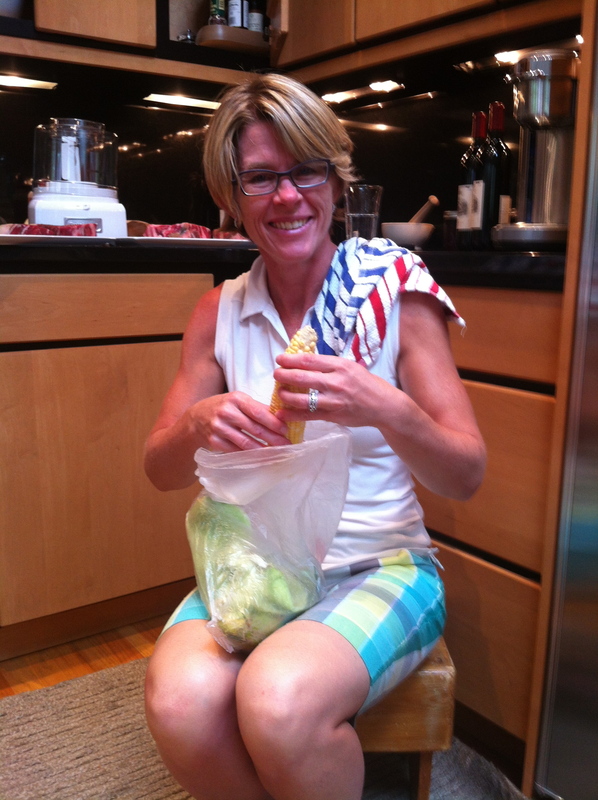 The ice cream was churning in the maker while we were prepping – it had to sit in the freezer to get hard while we ate for a couple hours as well. 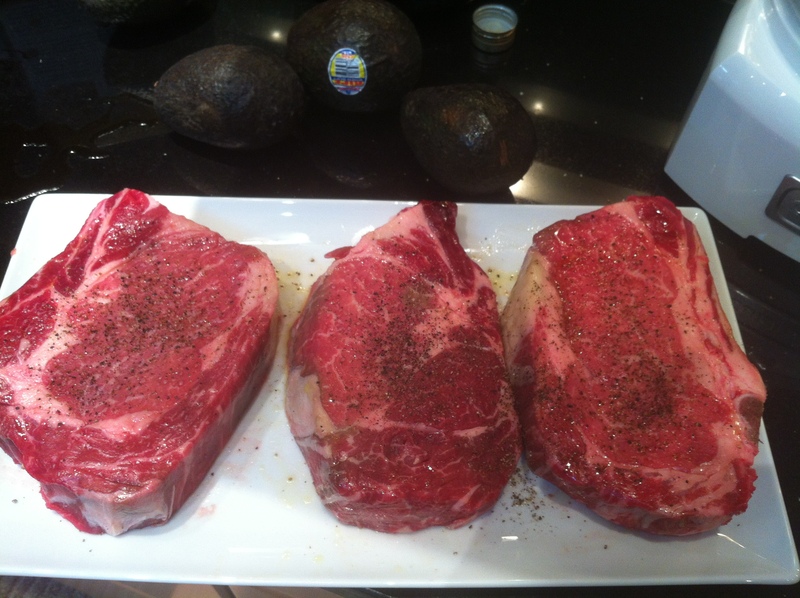 And here’s three of the steaks (we had five total, and no, we didn’t eat them all). 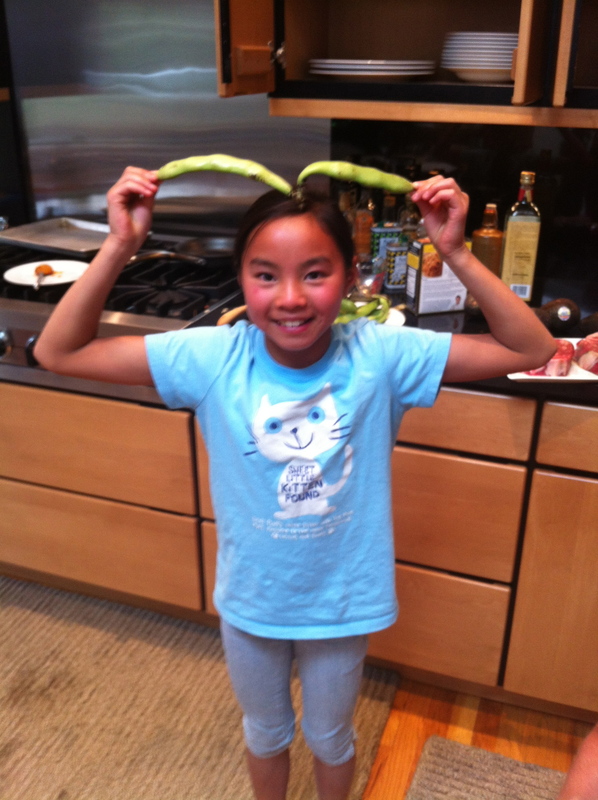 Margot had fun with the Fava beans. Beverages included white to start, a couple gin & tonics (which, I don’t really like, except for the gin I’m showing here. 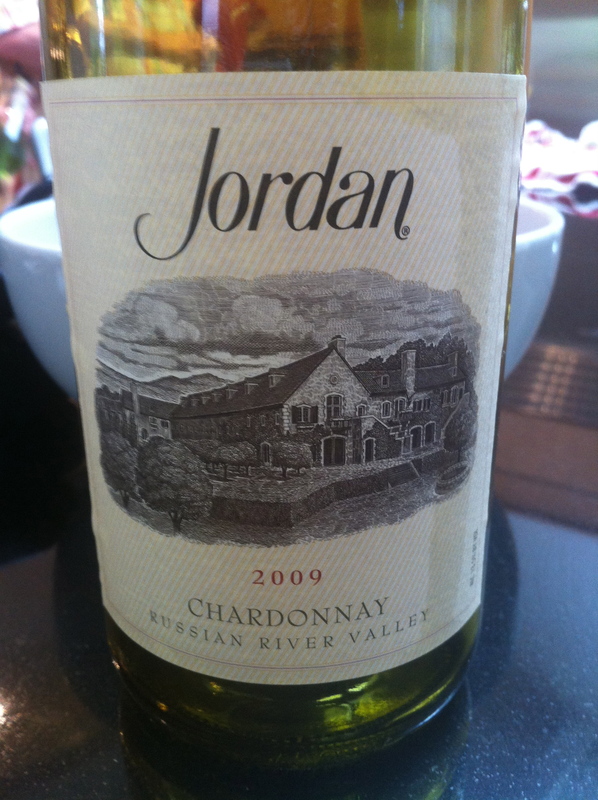 So nice, almost fruity, not too pine-tree tasting, which is my main complaint with gin) and then red with dinner. 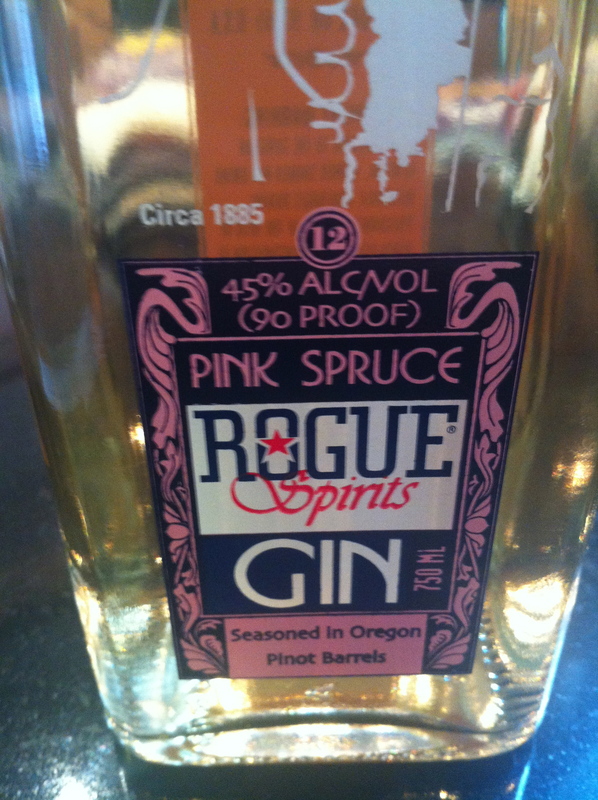 Maybe it’s so good because it’s pink? Mom enjoying dinner, with a side of sunburn. Jackie about to eat. Don’t worry, that’s not her wine glass. Polly prepared the glaze for the peaches, while Matt and I somehow failed to properly read the instructions on the recipe (perhaps the effect of the wine?) 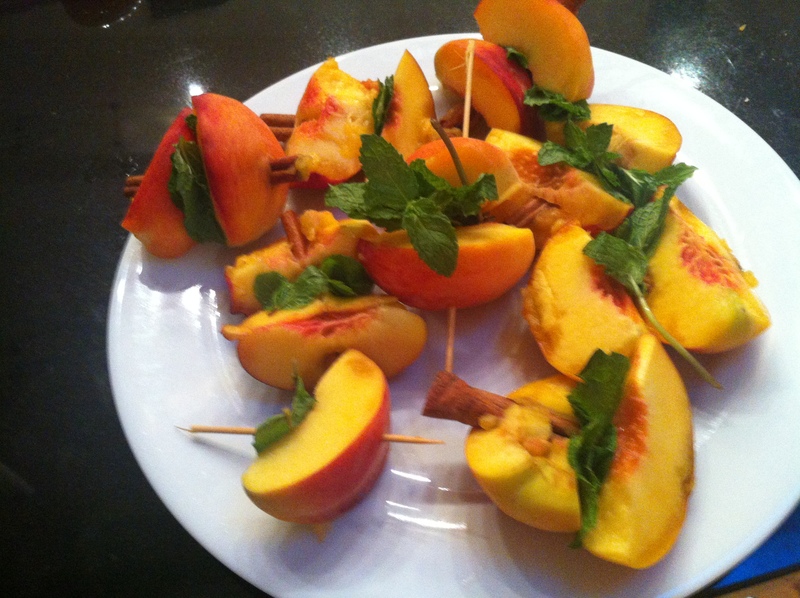 and struggled to get the peaches onto the cinnamon sticks. We had fun though. 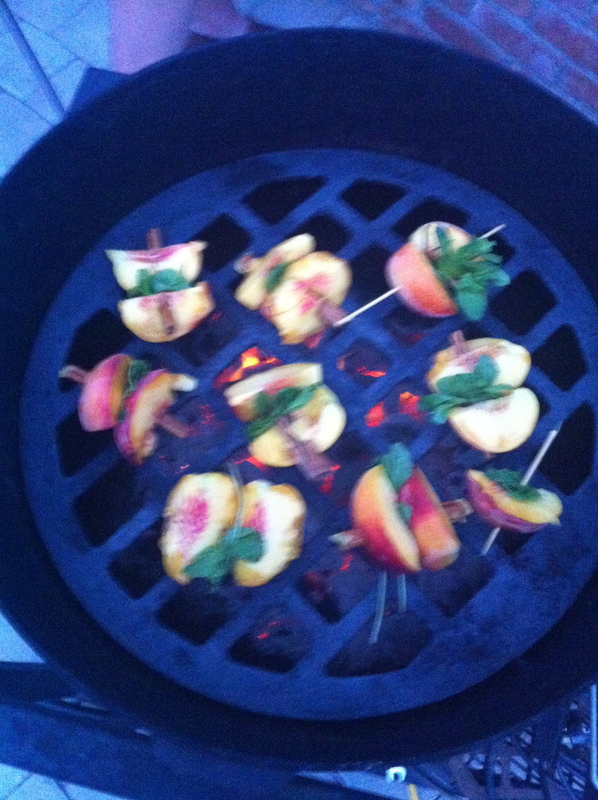 I think they look so pretty on the grill, the colors of the peach mirrored by the hot coals below. We’d cooked the steaks (and by we, I mean Dad) on this grill, and our peaches came out a bit meaty flavored. I thought it made them taste extra delicious, alongside our HOMEMADE vanilla ice cream. Matt didn’t really think that was the greatest, but I think it was quite the happy accident. 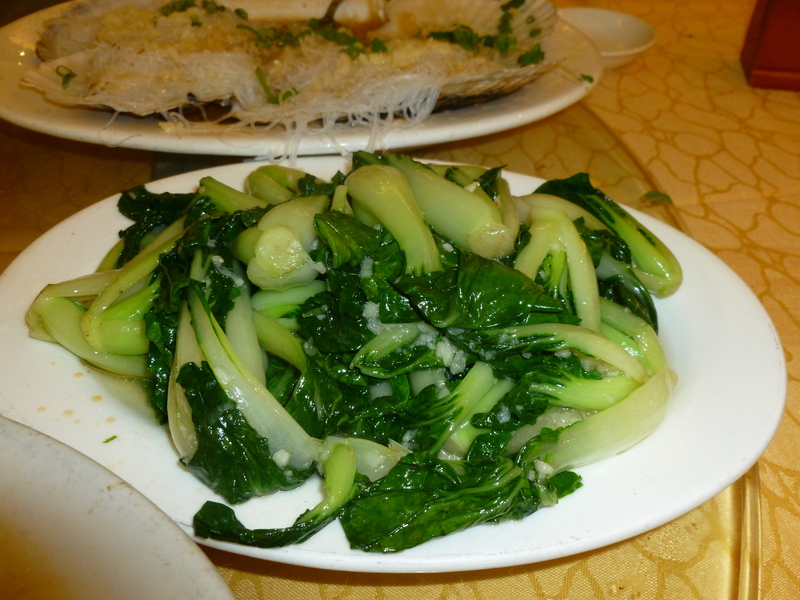 Like I mentioned before, the Pea Shoot & Arugula salad was from the August 2012 Food & WIne. 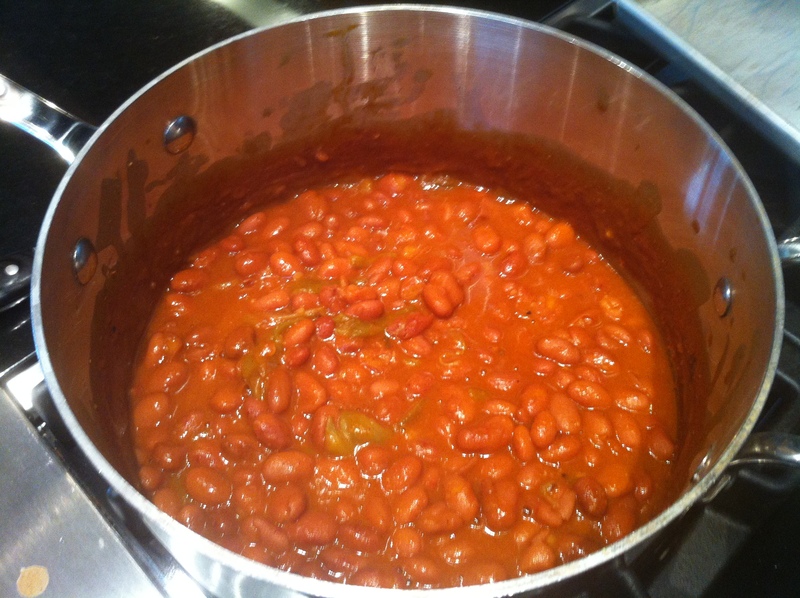 Here’s the link, and the recipe. Preheat the oven to 375°. Spread the hazelnuts in a pie plate and toast until they are fragrant and the skins blister, about 14 minutes. 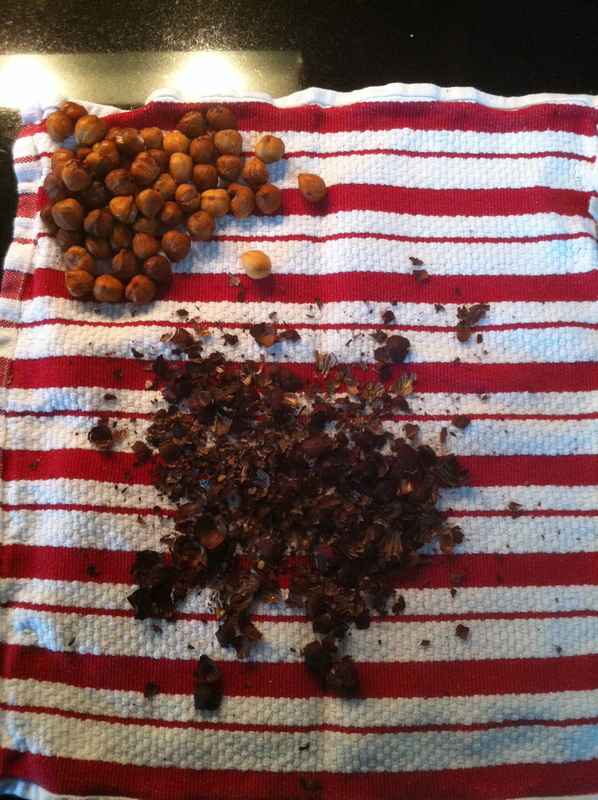 Transfer the toasted hazelnuts to a kitchen towel and let cool slightly, then vigorously rub the nuts together to remove the skins. 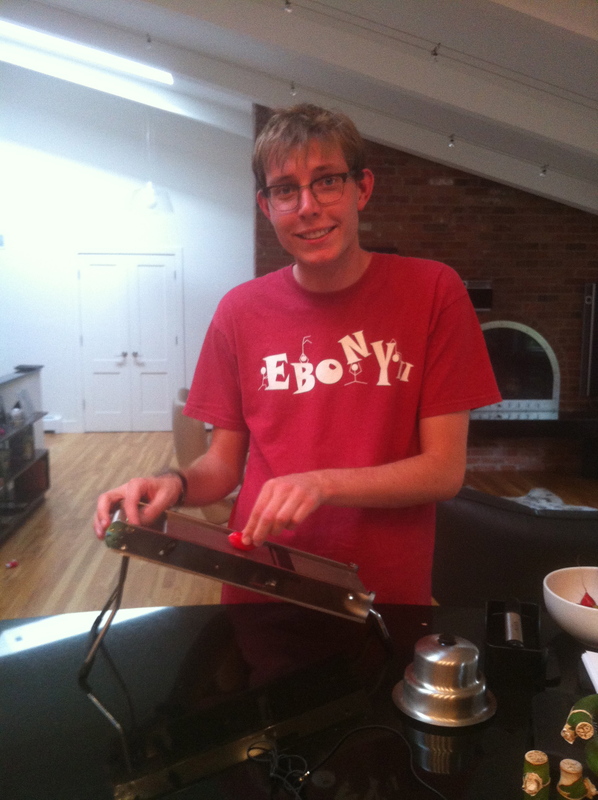 Coarsely chop the nuts. 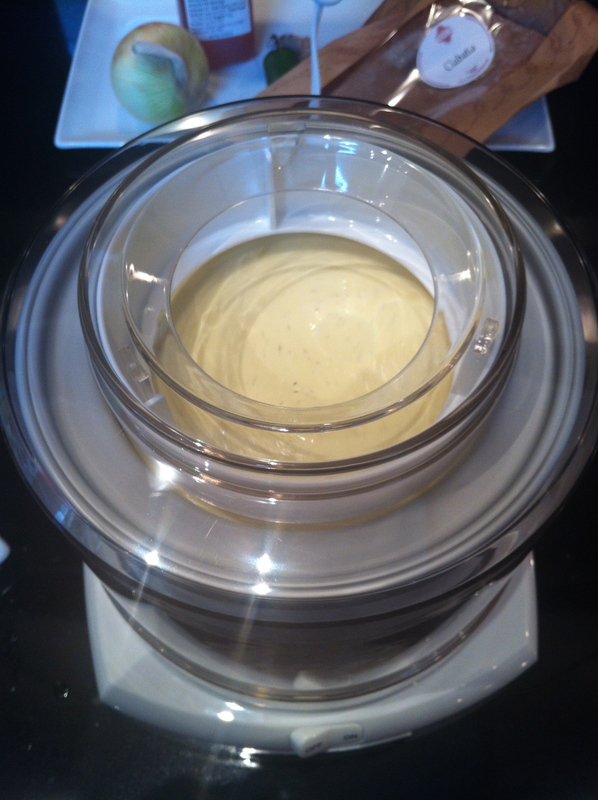 In a large bowl, whisk the Champagne vinegar with the Dijon mustard, honey and minced shallot. 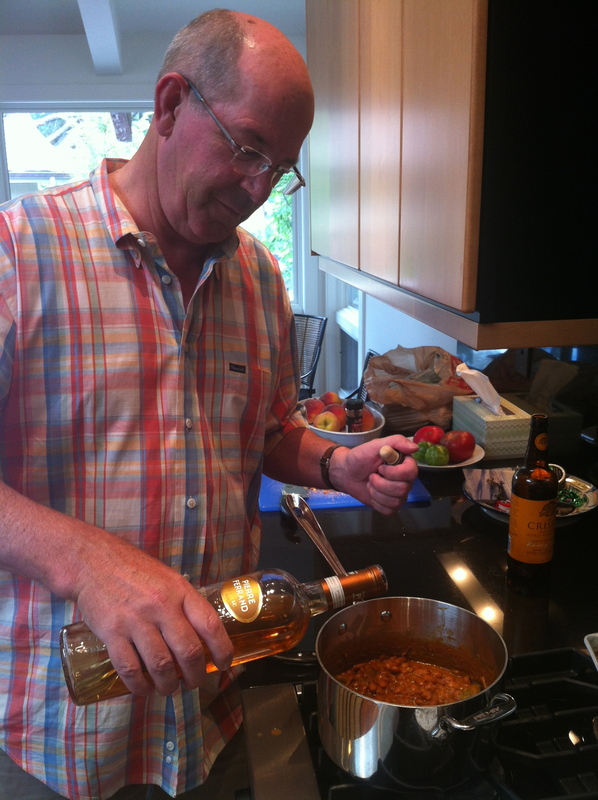 Add the extra-virgin olive oil and whisk until blended. Season the vinaigrette with salt and freshly ground black pepper. 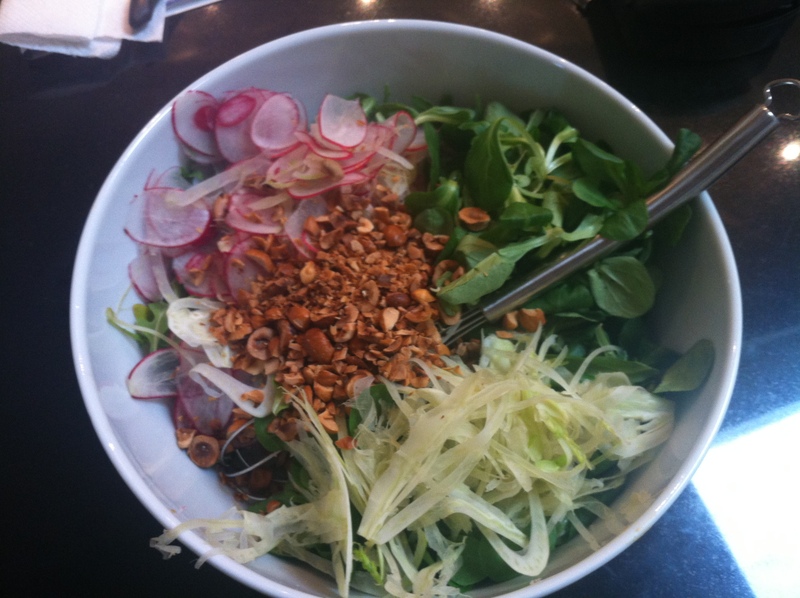 Add the arugula, pea shoots, radishes, fennel and chopped hazelnuts and toss well. 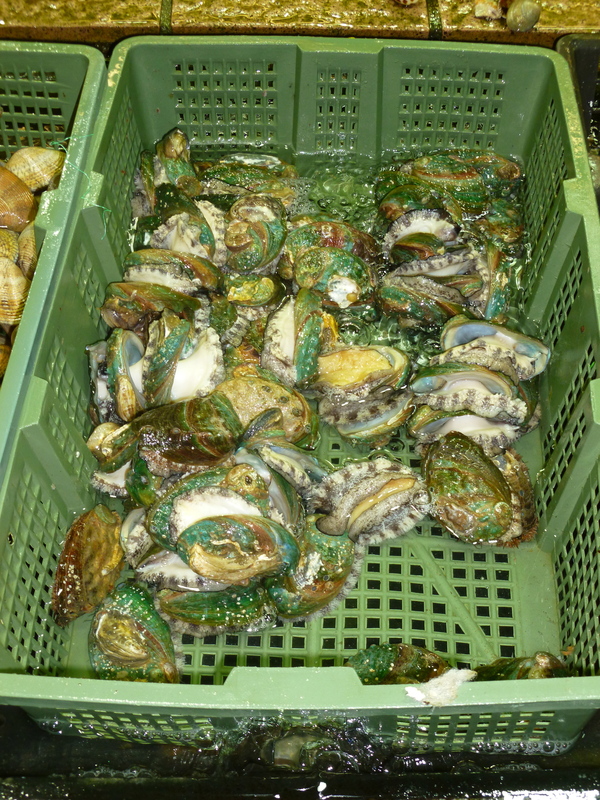 Season with salt and pepper and serve right away. And here’s the recipe for the peaches. 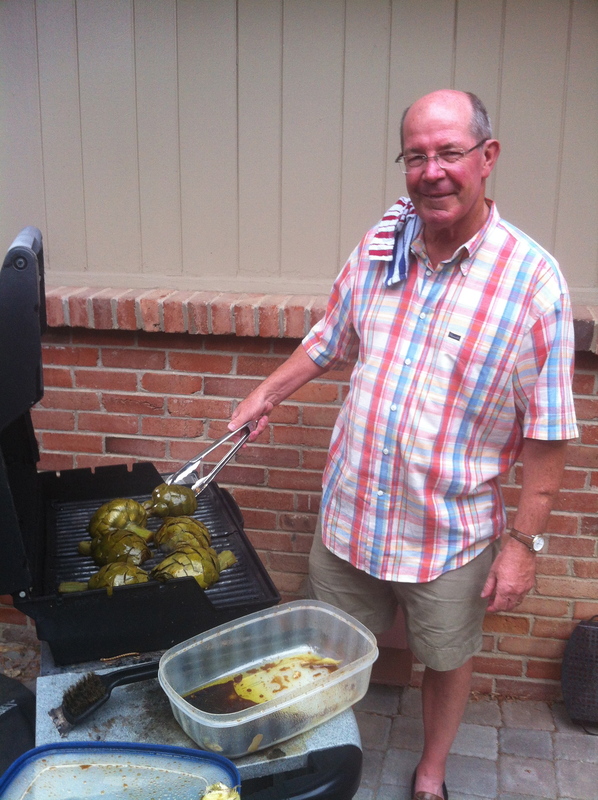 I think they were the dark horse of the meal – and it was nice to have COLORADO peaches. They’re the best I think. And I think the steak flavor from the grill was delicious. Try it! 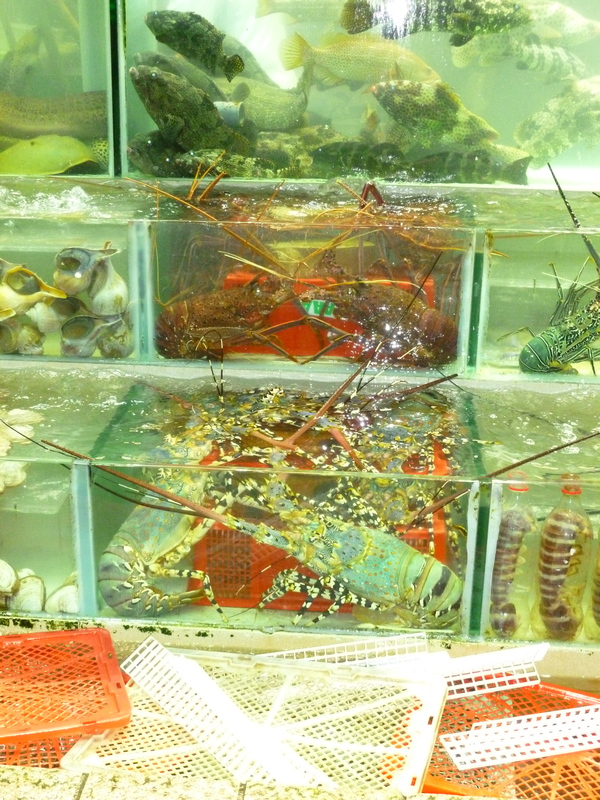 Well after lunch at Tim Ho Wan, it was going to take a lot to have another adventure, but our trip to Sai Kung to eat at Cheun Kee was up to the task. 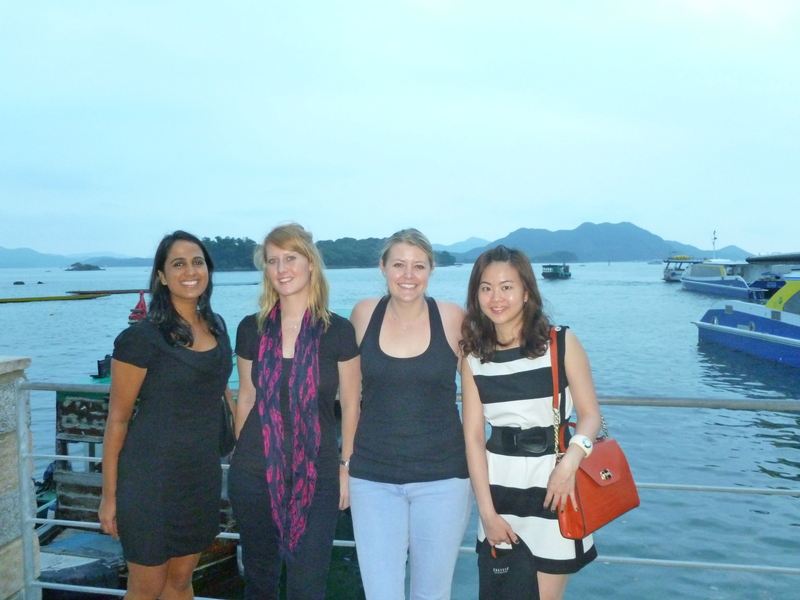 Sai Kung is the most eastern part of Hong Kong, an old fishing village. The whole night was such an experience! 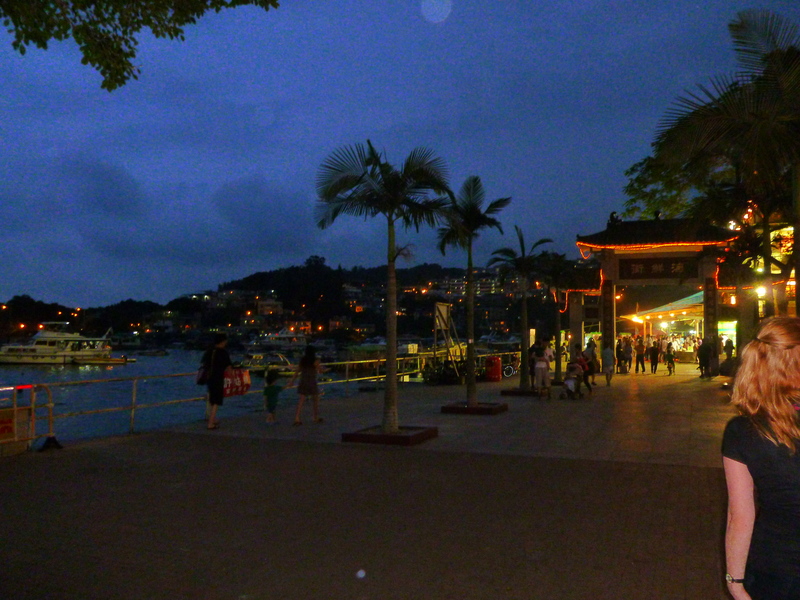 We walked down waterfront, among the crowds of people who had stopped with the junk boats, little stands selling dried seafood (the smell was terrible haha). 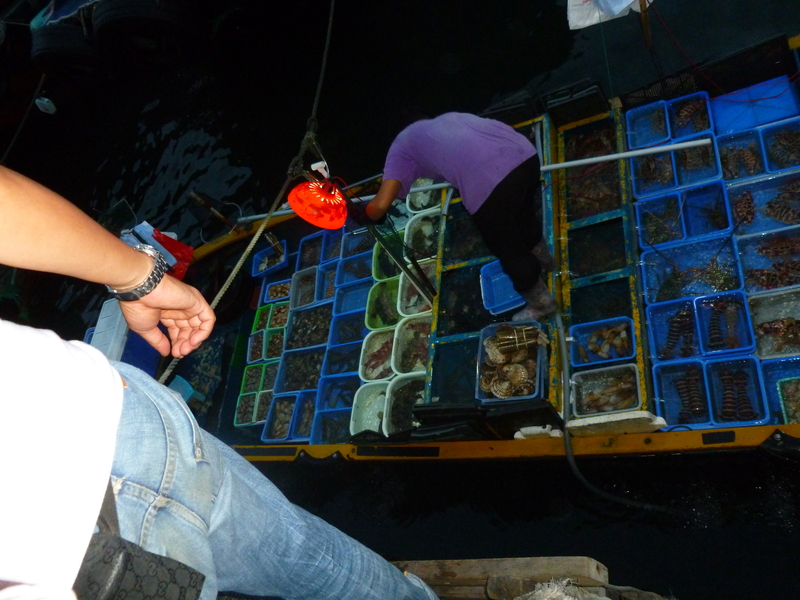 We even saw this little fishing boat selling live seafood over the wall – prawns, crabs, geoducks (!! 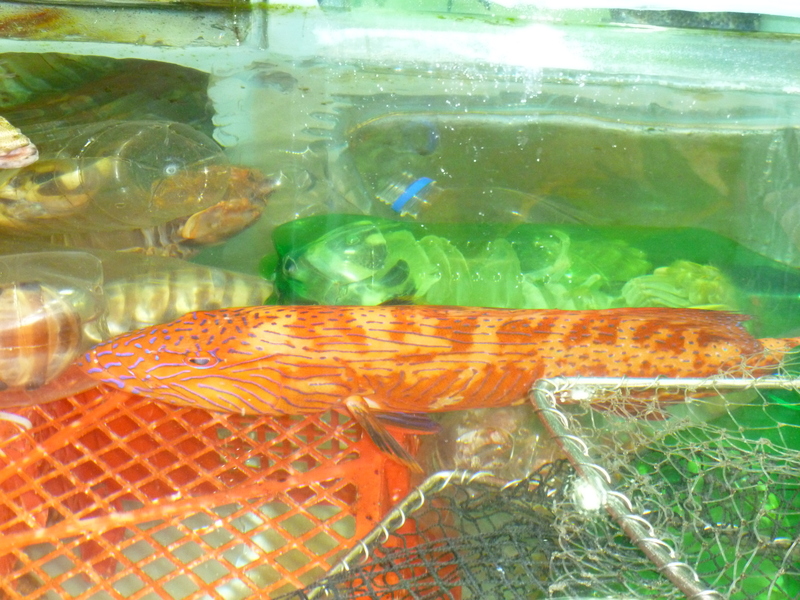 ), fish. It was so much fun to watch. 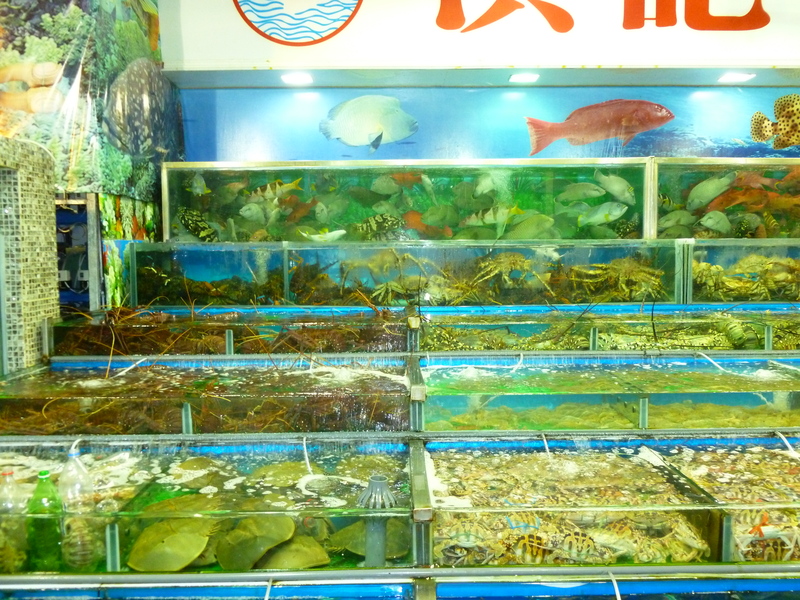 There were several restaurants up and down the waterfront, that had a similar seafood selection – and by that I mean out the front of the restaurants there were giant fish tanks and baskets of LIVE seafood, any kind you can imagine. 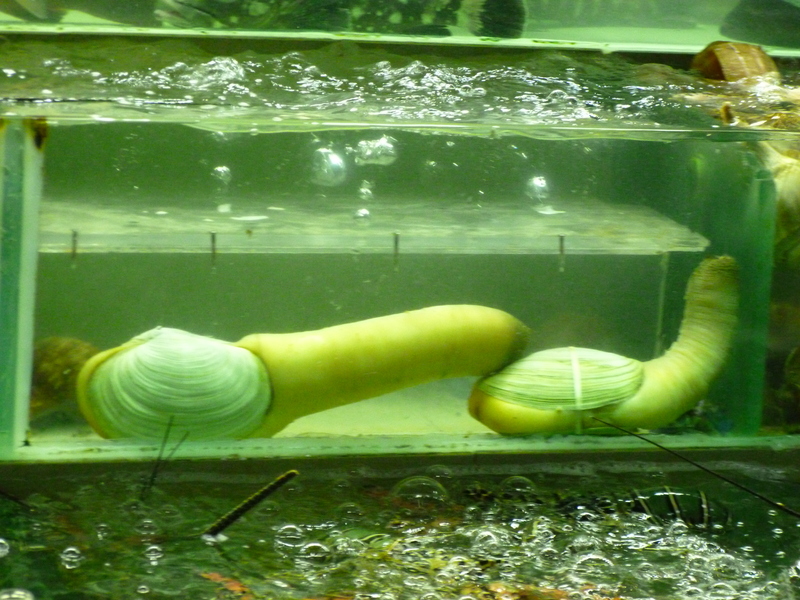 One of the tanks had one of those giant fish you always see snorkeling – presumably not for eating? 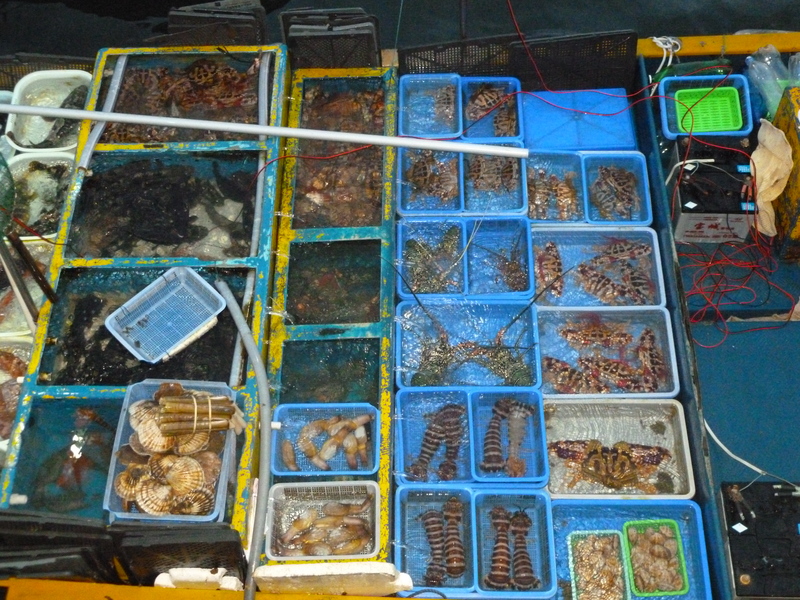 The amount of different types, and even the sheer quantity of the seafood was incredible. 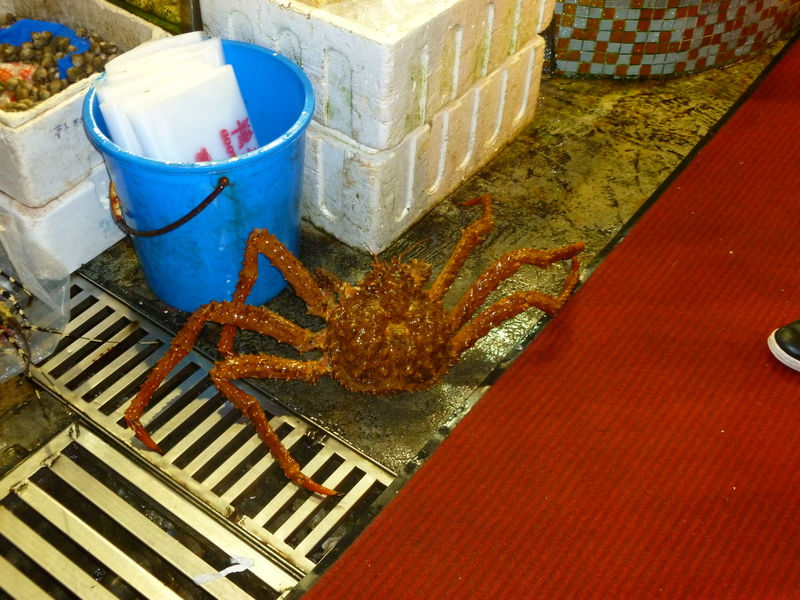 There were giant crabs and lobsters – actual monsters! 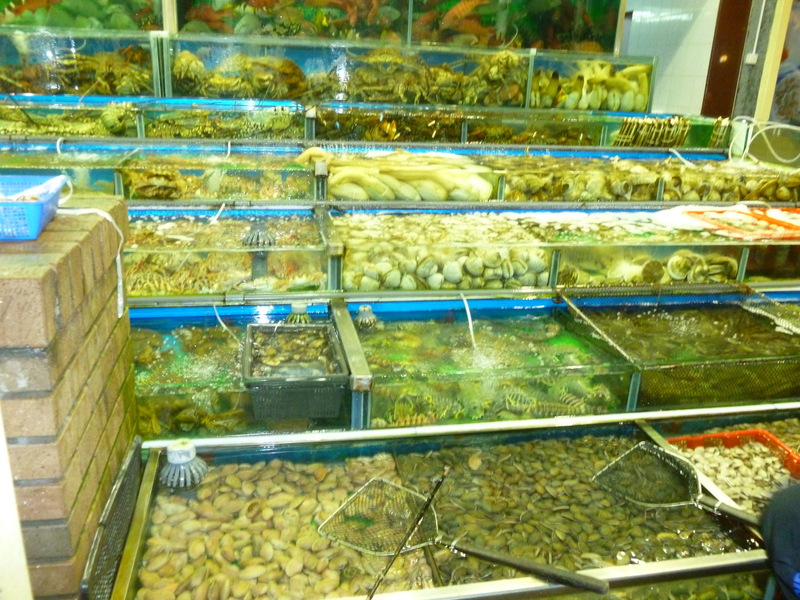 After about 30 minutes of gawking, we walked down to Cheun Kee. It was so pretty. 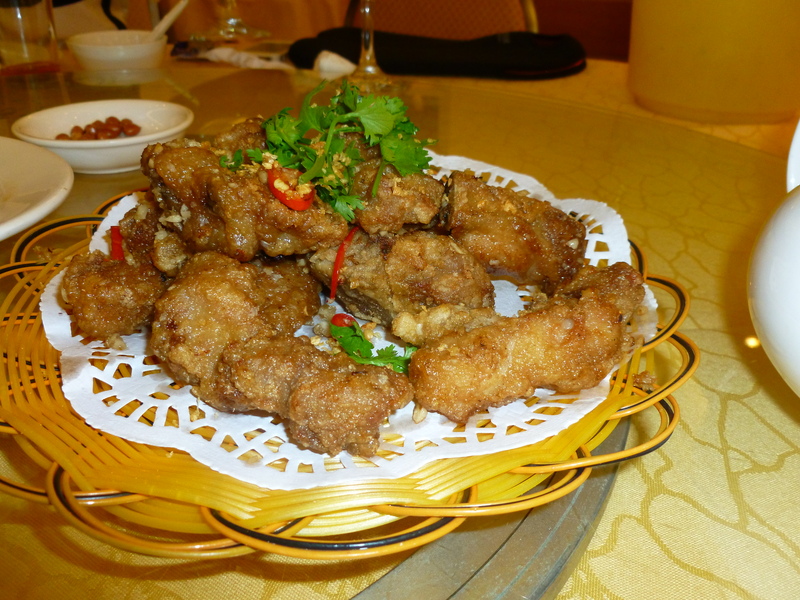 Once seated, Tiffany ordered pork ribs with chili and garlic and some greens. 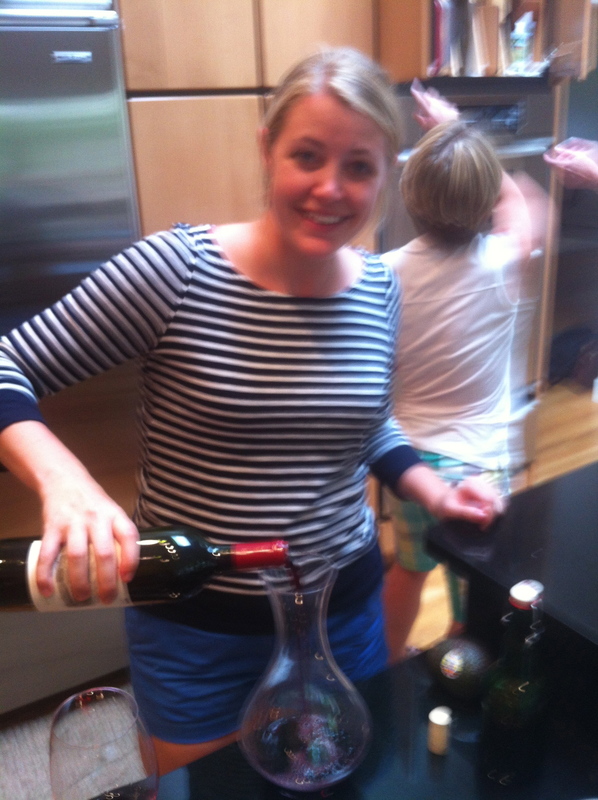 She also had them bring out some wine glasses (BYO!!) as she had brought a lovely bottle of wine, Cloudy Bay. 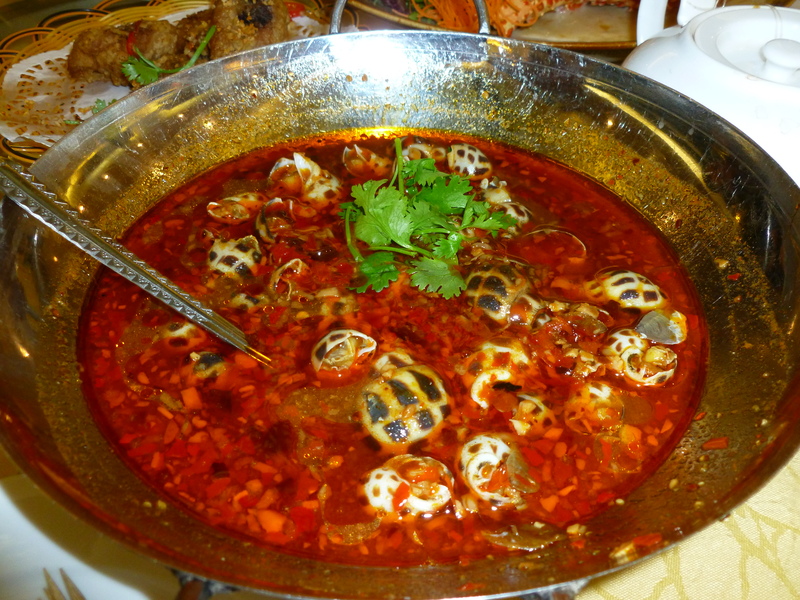 After we’d chatted for a bit and gobbled down the salted peanuts, our food started coming out. 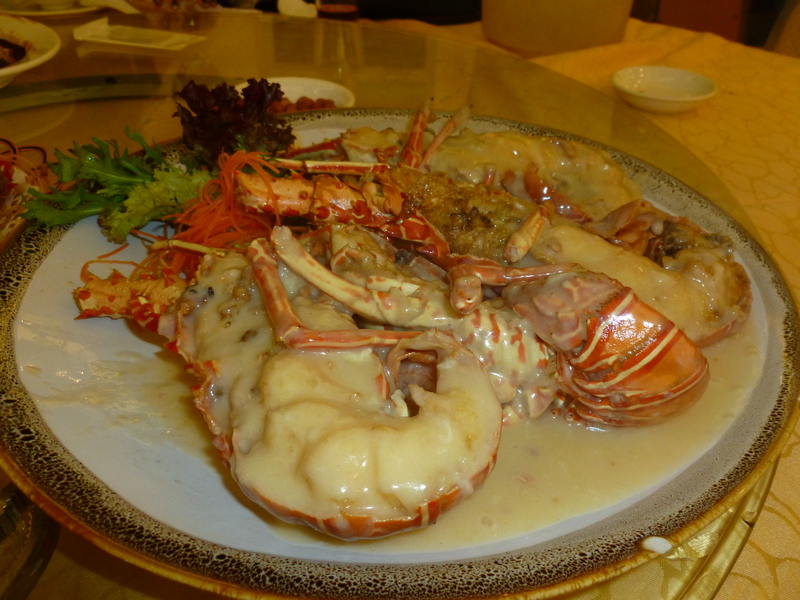 Lobster with creamy cheese sauce. 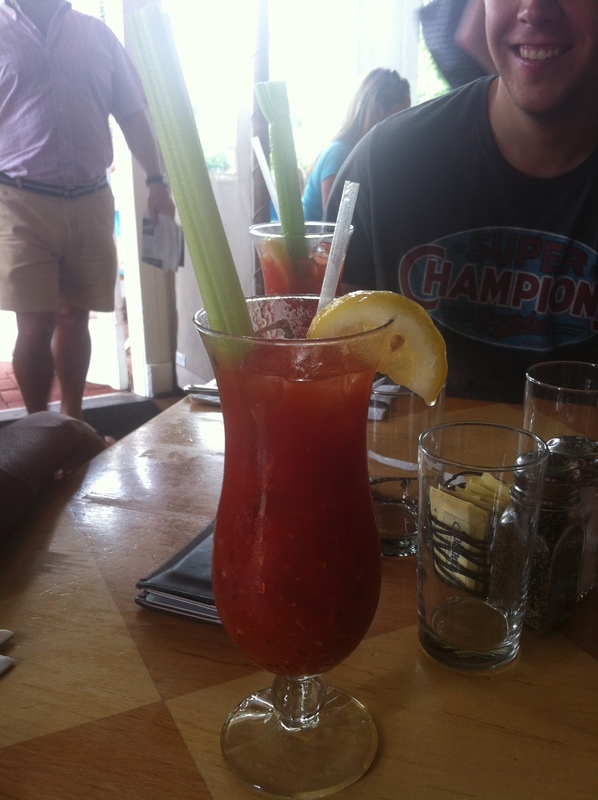 I was literally salivating over this when it was placed on our table, it smelled divine. I was so close to off-ing myself for just one taste. It smelled quite rich. 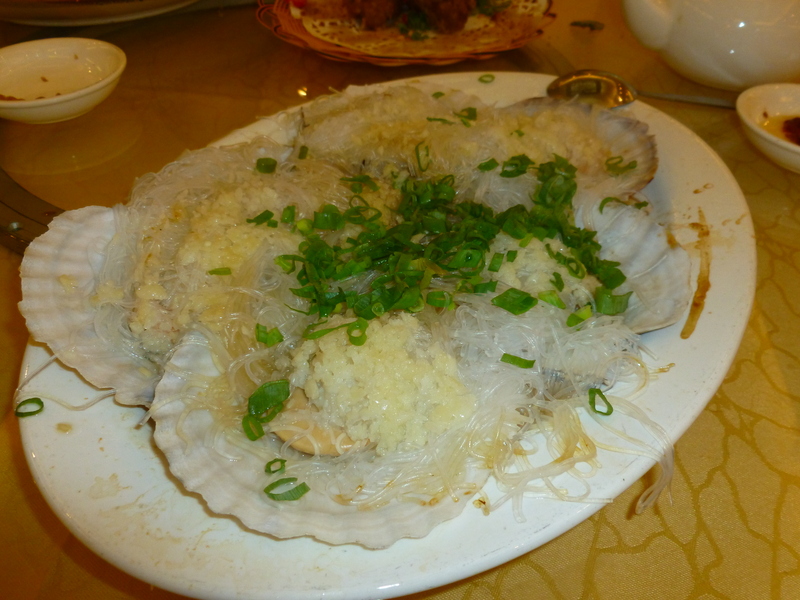 The scallops on a bed of rice noodles, with garlic and spring onions. The table, aside from me (Tom, Tiffany and Sophie) thought these were the best. 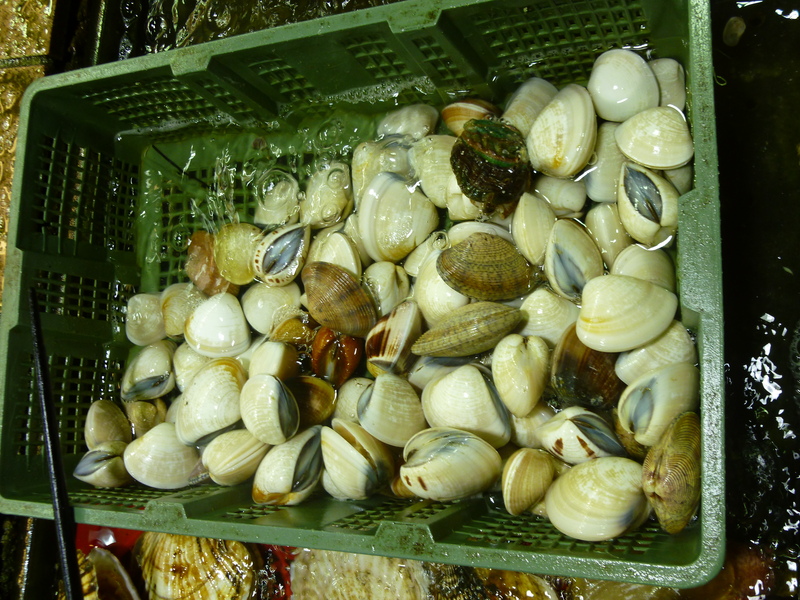 The shells were beautiful, I wanted to take one as a souvenir! 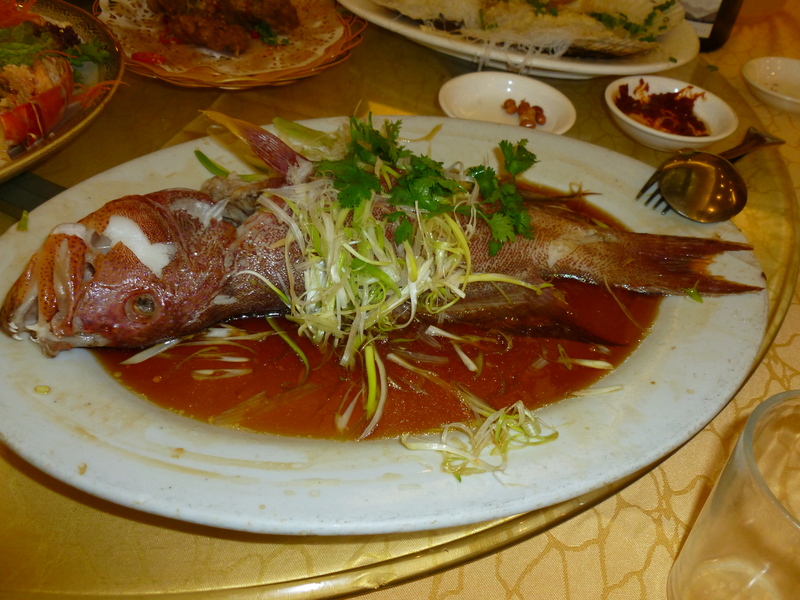 My fishy is looking a little less swim-y than he was before… tee hee. 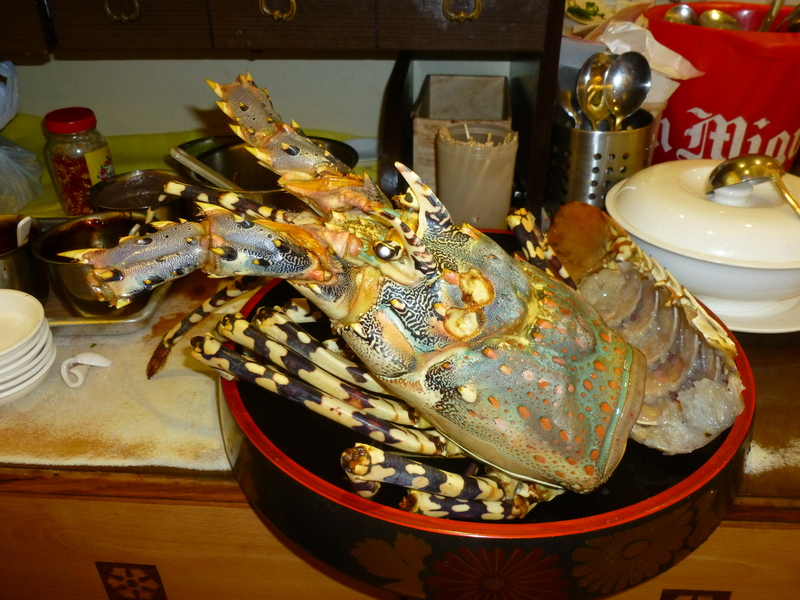 He came out, steamed with a soy sauce. 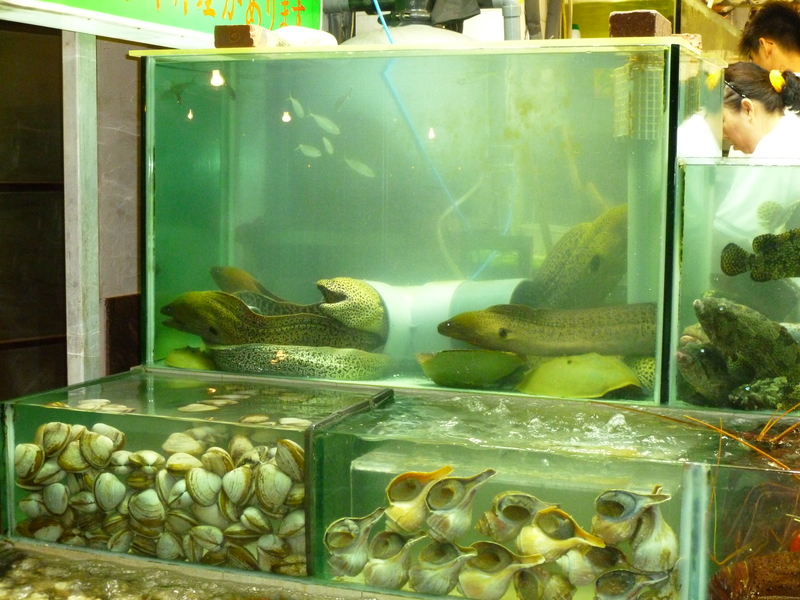 Tiffany had them steam the fish so that we’d be able to taste the flavors of the fish better. The lady just took spoons and carved him right up, an deposed his head at the front of the plate. 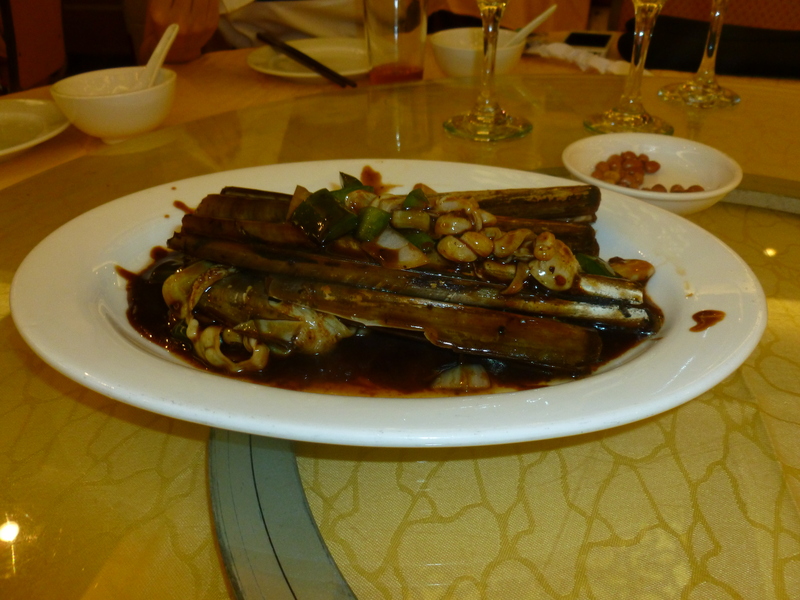 It was such a nice fish, the meat was light, flaky, maybe a bit sweet. 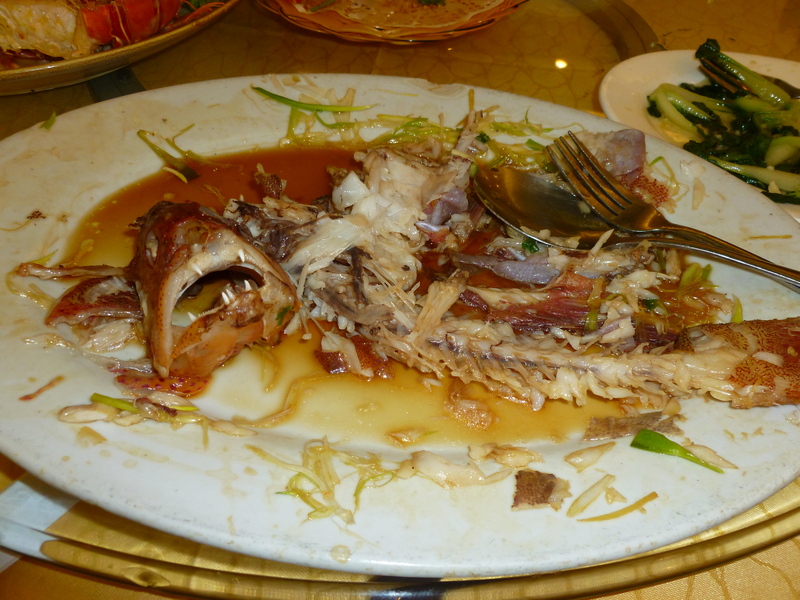 I didn’t mind scooping him up onto my plate, although I was a bit squeamish when I saw I’d gotten his fin… eek. I moved that bit into this bowl that had become my discard bin. Tiffany gave me the cheeks to eat – they were nice, and it is said that what parts you eat will help you out – good skin here I come!!! 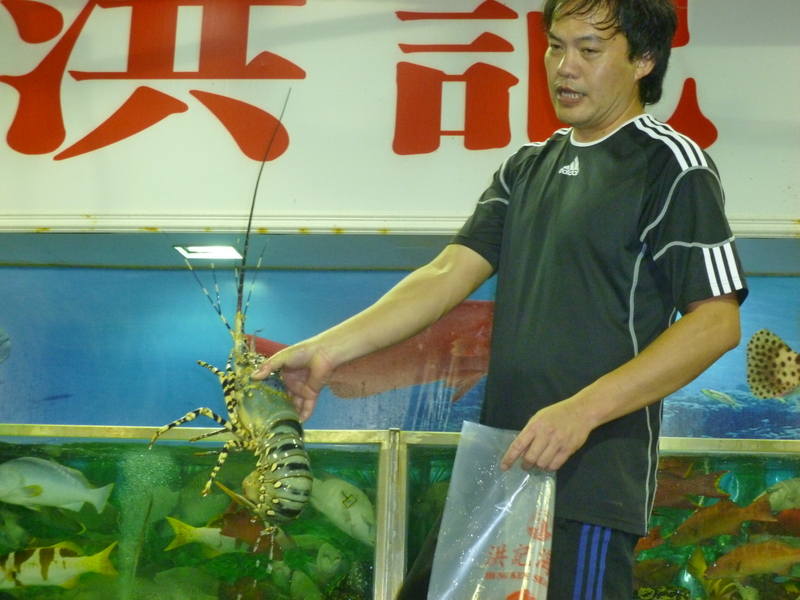 We saw this lobster pass by, and had to go get a photo… His head was a big as mine!!!! The shops started closing up, so Tiffany took us next to Honeymoon Desert (the first one!). We got four different desserts so we could all try, one of which was durian!! Durian is this fruit that stinks to high heaven, when I would go into the grocery store, I thought I was smelling meat that had gone off. Nope, it was durian. 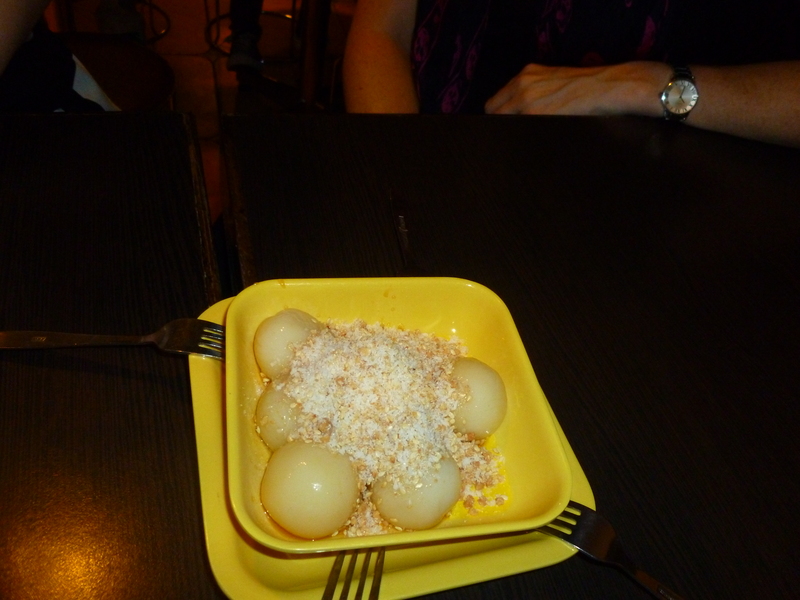 Tiffany suggested we order durian glutinous rice dumplings. I don’t know how to describe the taste – the initial taste is sulfury, but the after taste is nice. That first bite is a shock, but it grows on you. Kind of. Enough to keep tasting. 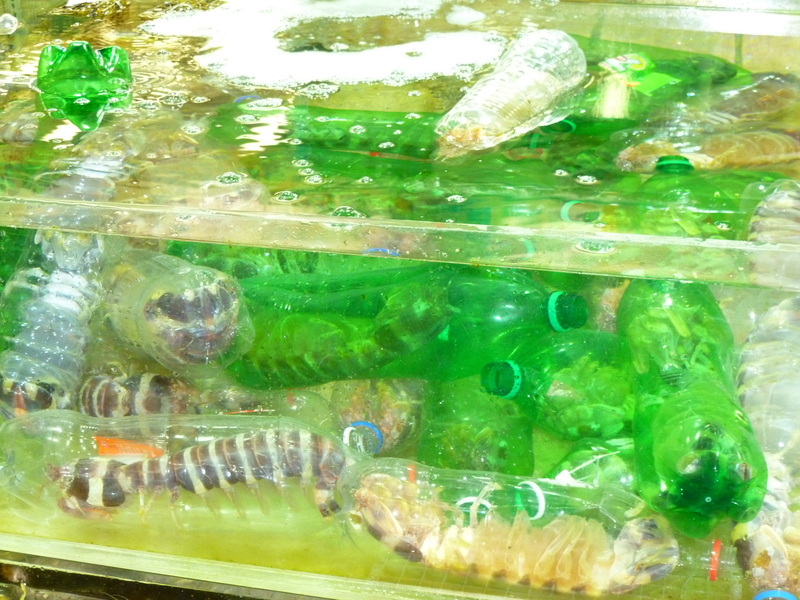 And of course I can’t find the photo, so here’s one from the website. 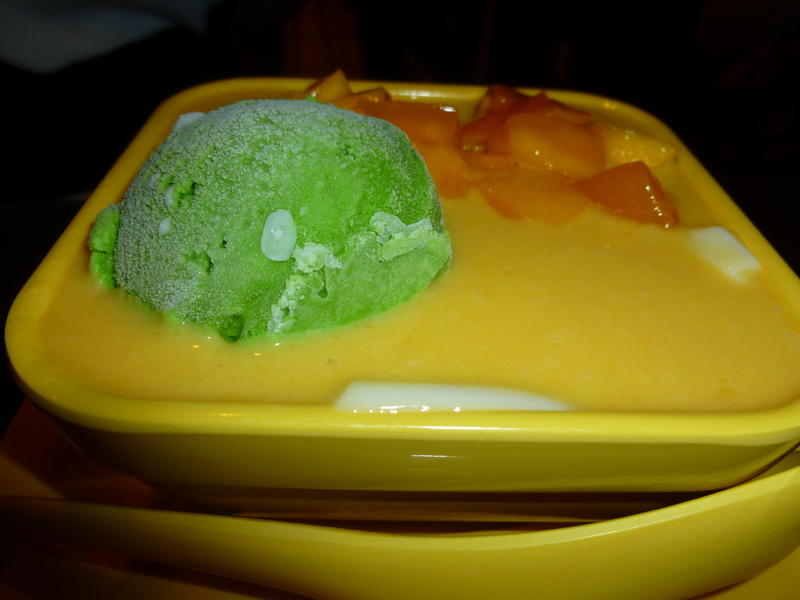 We also ordered a mango soup with green tea ice cream, which I liked, except I wasn’t psyched about the bean curd. 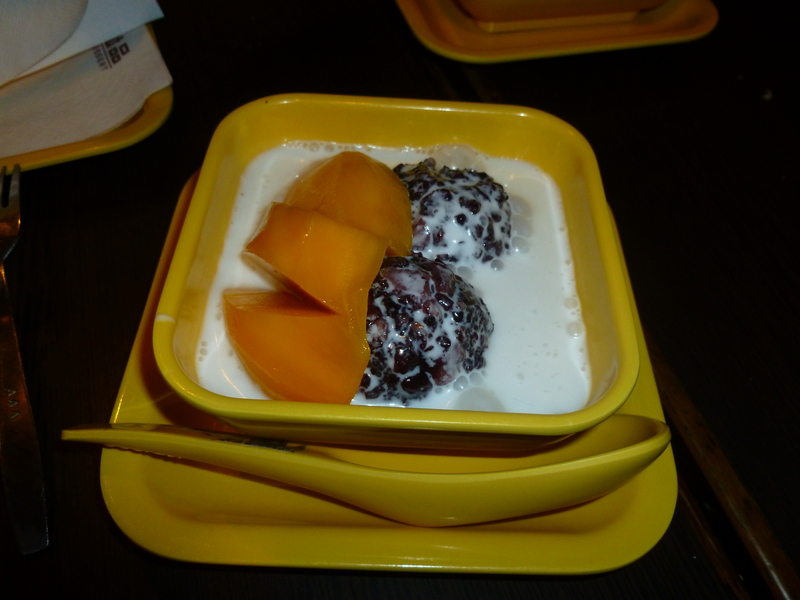 We also got Thai glutinous rice with coconut milk; I loved the coconut, but the rice was okay. And lastly, we had sweet balls. They were warm, sticky, covered in coconut and peanuts. The focus and flavors were really on the coconut and peanuts, as the ball was just sort of plain goop. I would like just coconut covered ones. 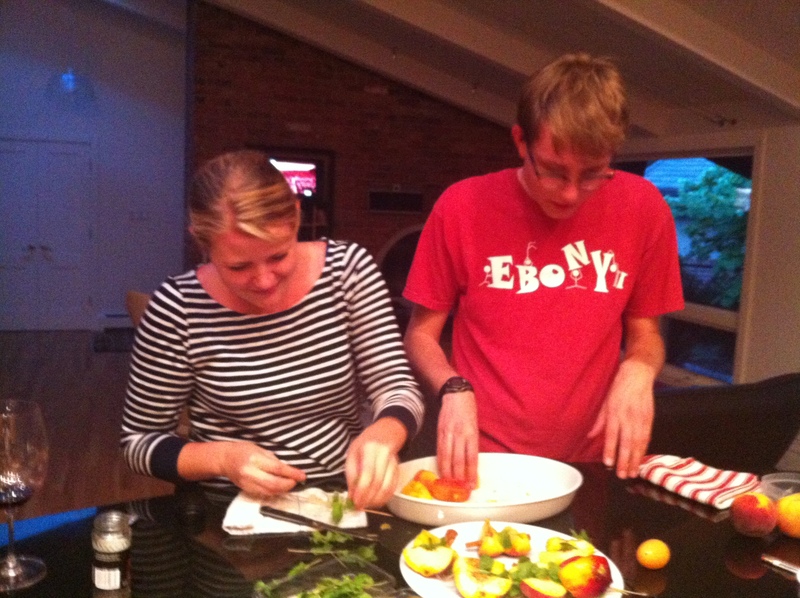 The whole evening was amazing, and many thanks go to Tiffany, our lovely host. Without her, we would have only gotten about half the experience. 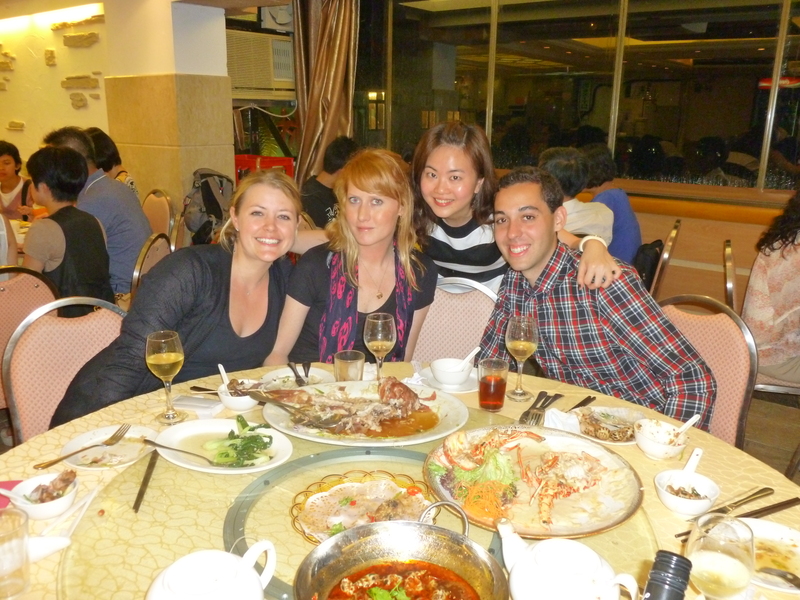 This was by far my favorite night in Hong Kong!